Jordan, please tell us about how you founded RVML? Thank you for this opportunity, Shields. 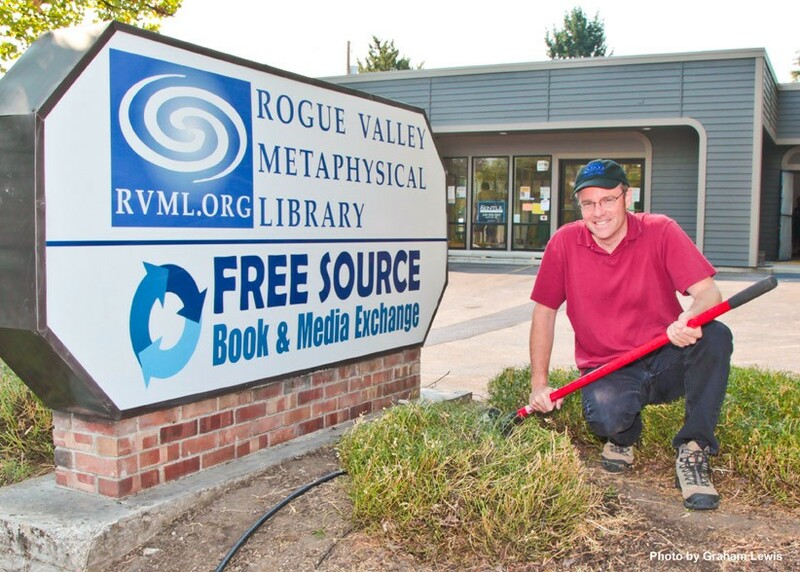 Rogue Valley Metaphysical Library was founded in Ashland in 2002 as a non-profit organization with three functions; a specialty lending library, an event production agency, and since about 2005, the free media exchange. Last month, we moved into our new home near the SOU campus on Ashland Street. RVML’s mission is “providing easy access to a variety of unusual information that inspires, heals, and transforms.” It’s pretty straightforward, and the key is that we give people an opportunity to examine new ideas and then decide for themselves. Thinking outside the box is such a cliché, but that’s what we help people do. What was your original inspiration for starting RVML? I became interested in “all things metaphysical” in about 1990 while living in Sonoma County, California, and was frustrated because very few people I knew seemed interested in new ideas that challenged the status quo. Starting at about that time, I was having my mind blown by radical new ideas about how the world worked, but I felt like I was studying them in a vacuum because almost nobody else around me seemed to care much. I was collecting a lot of books, and felt like a great research archive was being under-utilized with just a handful of people using it. Skip-forward about ten years to March 2001 when I moved to my new community of Ashland. I really felt drawn here, and I hadn’t even heard of this place until about a month before I got here. It was easy to find many like-minded people, and it wasn’t long until several of us coalesced around the idea of a metaphysical library and event center. So in February 2002, RVML was established in the back of an art gallery on A Street as a place for people to examine and explore new ideas together. That’s the short, short version of how RVML came to be. It all happened so magically and almost effortlessly. That’s a hard question for me to answer anymore. I’ve discovered that it means different things to different people. The word metaphysics seems to have negative connotations for some people, like the words occult or conspiracy can too. In general, I’ve come to regard metaphysics as being the study of the universal laws and principles that underlie our experiences, or even just as a discipline in keeping an objective, big-picture view on things. Unfortunately, our society tends to undervalue that way of thinking, it seems. What is the difference between the Media Exchange and the Lending Library? The Media Exchange is now called Free Source. 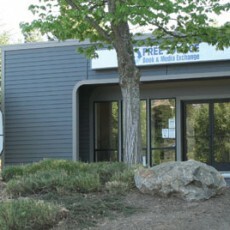 We used to be known as the Rogue Valley Free Media Exchange or RVME. Free Source operates on an honor system of exchange. People donate books, and in exchange they can take up to a dozen items at a time. We ask for at least a one-for-one exchange, but we don’t really keep track. There are no fees or membership required or anything like that. And we always accept cash donations if someone finds some books they like and don’t have ones to trade. There are at least 8,000 items at a time for people to choose from in the media exchange. We have all common bookstore categories, neatly organized by subject. There are DVDs, CDs, video tapes and a few other things too. It’s like a bookstore without a cash register, or like a no-membership library with the option of keeping the books you find. Unlike the Library’s lending collection, which is primarily spiritual and metaphysical subjects, the media exchange collection has all subjects–in both fiction and nonfiction categories–and it rotates frequently. There are children’s books, a home schooling section, business, travel, gardening, history, and arts and crafts. Besides the fiction sections, the largest category in the media exchange is probably spirituality and personal development, which is a nice compliment to the titles in the lending library, and it’s a direct reflection of what our donors bring us. It just works. There’s abundance there, and people absolutely love it. It seems too good to be true to some people when they first discover us. And what’s really great is that we’re able to sell certain donations online, only about three percent or so, we estimate. It’s a major part of our funding. Grants and benefactors make up the rest. And of course it couldn’t work without all the donors and volunteers, we appreciate them so much! What kinds of donations are you seeking for the Media Exchange? “Any subject, any condition” is the simplest way to put it. Books, DVDs, CDs, videos, and audio books that are in reasonably-good condition. We always appreciate cash donations too of course. We don’t take encyclopedias or magazines, and nothing too damaged or soiled, please. Donations are tax-deductible; receipts are issued on the spot. OK, so how does the Lending Library work? 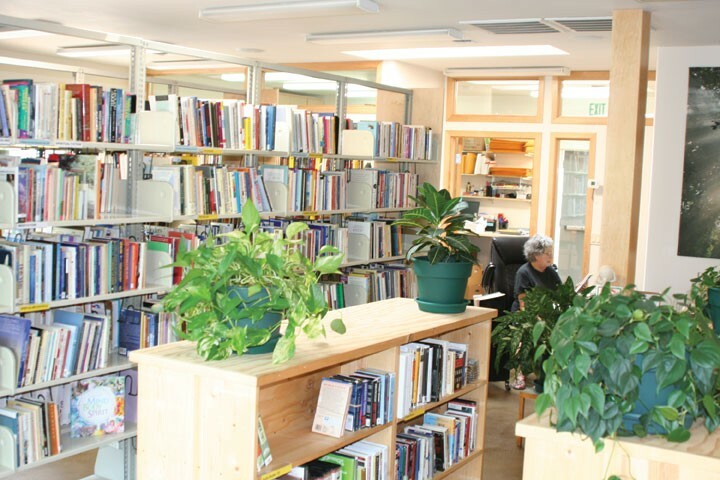 The library is a membership based, specialty lending library. As far as we know, it’s among the largest of its kind in the world. Right now, there are several thousand cataloged items, mostly books and videos, in boxes, waiting for the shelves to be installed in their new home next to the Media Exchange. Borrowing privileges for the metaphysical library requires an application and a small annual fee. We’re not ready to accept new applications yet, but right now, people can join the mailing list on our website for updates. What are the subjects you keep in the Lending Library? Besides metaphysics and spirituality, there’s also a heavy focus on media studies, environmental studies, and especially sociology and psychology. With a heavy dose of paranormal subjects as well, to keep it really interesting. If you’re a curious person, we’ll likely have something that satisfies you. There are obviously some major challenges facing the world right now, and some things in our lending collection could be characterized as being too “doom and gloom.” The idea that a problem cannot be solved from the consciousness that created it indicates to me that we must be well informed about all aspects of the problem first. Then we must formulate new ideas and new approaches, so as to motivate people through wisdom and optimism, not by fear. That’s an idealized viewpoint of course, but we really do try to keep the collection balanced. Many of our patrons skip the dark and scary stuff altogether and just stick to the spirituality and personal-development side of things. Aside from the core collection we retained from the original library that closed in 2010, we have been accumulating new material over the last couple years, especially new DVDs and audio books. And we had an amazing collection of metaphysical books donated recently, with about a third of them already cataloged into our new lending-automation software. When we re-open the library in a few months there will be about 10,000 items for checkout. How is the lending collection organized? Everything is carefully cataloged using a customized version of the Dewey Decimal system, “just like a real library,” as we like to say. We have new, sophisticated library-automation software to manage the membership and enable advanced search functions of the collection. It will be on-line in a few months. It’s been a long time in development, and we can’t wait to show it off. We very purposefully keep the presentation of the material as neutral as we can. First-time visitors sometimes remark that they had expected something different. We feel that being very, very neutral serves a larger audience that would otherwise not frequent a typical place like ours. We promote open-mindedness, critical thinking, community-building and personal-development. “Making metaphysics mainstream” is another slogan we’ve used. It’s a little trite-sounding, but it really nails it. How does the lending collection grow? Historically, the collection grew through large donations that we acquired. People who love books and new ideas want them to circulate, not just sit around and stagnate. There’s not really an acquisitions budget, it’s almost all donated, and we do our best to keep it comprehensive. We receive all kinds of donations from entire libraries to just a few books, and we appreciate the opportunity found in every one to share with our community. There’s a feeling of stewardship associated with our work. I can’t say enough about how many great people have been involved in making it all happen. One of our bumper-sticker slogans is “Building Community”, and certainly we never could have made it this far without such an awesome community of staff and volunteers making it all happen. Hundreds of people, literally, over the years since we started in 2002. Will RVML continue to do events? Event production has driven our organization since the beginning, but we’ve only produced a few of them in the last three years. Prior to that we averaged about one each week. So yes, we’ll still be doing them, in keeping with the community-building aspect of our mission. Right now, our main focus is getting the library open again before the end of the year, but events will continue to be a large part of what RVML does in the future. What about the recordings from your past events? Yes. There are hundreds of them, mostly from our Tuesday Night Lecture Series that we ran for many years. Almost all those recordings are in the library right now, and eventually they’ll be available for streaming on our new website, too. People may not realize that we have also organized many larger events at SOU and other venues. We’ve even done a half-dozen film premiers. Those are a lot of fun. The last one we did was with the filmmakers of Thrive, Foster and Kimberly Gamble and their team. A lot of that movie was produced in Ashland. They’re great, great people. There are a lot of names on our list of past presenters that people would recognize. I’ve been noticing more and more of them appearing in TV documentaries and radio programs. That series on the History Channel called Ancient Aliens is a good example, and Coast to Coast AM is another one. Anything else you’d like to tell people? Thank you again, Shields for this opportunity to tell people about RVML, and kudos to you for creating Locals Guide! It’s a great resource and we’re delighted to be here in it! It has been a great privilege for me to serve the community in this way and to assist so many great leading-edge thinkers and teachers along the way. And it’s so exciting for RVML to be at this new and very significant milestone. The basic idea about what we do with the library and the events we organize is to gather together a bunch of unusual ideas, present them without much filtering or bias, and then let people make up their own minds. There’s no agenda here other than promoting open-mindedness and big-picture thinking. We’re just saying, “Hey look! There’s a lot of interesting information we’ve got here that you’ve probably never seen before. Some of it seems really important, so please come check it out and decide for yourself!” That’s all. 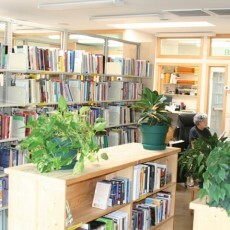 Founded in Southern Oregon’s Rogue River Valley in 2002, RVML’s unique collection of books, audiobooks and DVDs has grown to be among the largest of its kind in the world. With emphasis on practical solutions to the world’s critical challenges, RVML’s mission is providing easy access to information that inspires, heals and transforms. An annual fee of $30 allows unlimited checkouts of materials on a variety of spiritual, paranormal and personal development subjects. In addition to the lending library, RVML also operates a media exchange where people can trade items on any subject at no cost. A donor-supported 501c3 non-profit organization, all donations are fully tax deductible. RVML also organizes periodic lecture and workshop events at venues around the Rogue Valley including the annual Architects of the New Paradigm conference series.